It’s worth it. The lines never felt forced. Everything worked. The actors were great. There was enough felt tension to make the comic relief enjoyable. 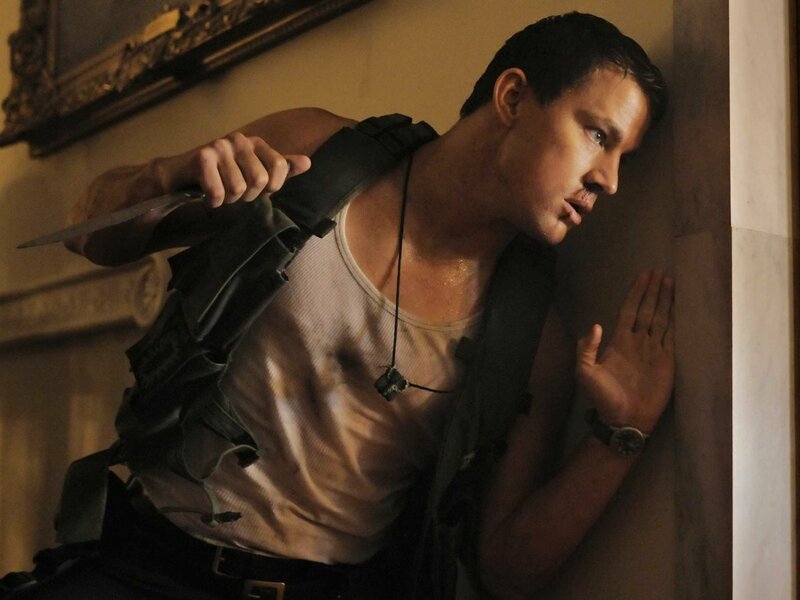 I thought Channing Tatum would overcompensate with sincerity to knotch up from eye-candy, but he didn’t. He made it feel real. 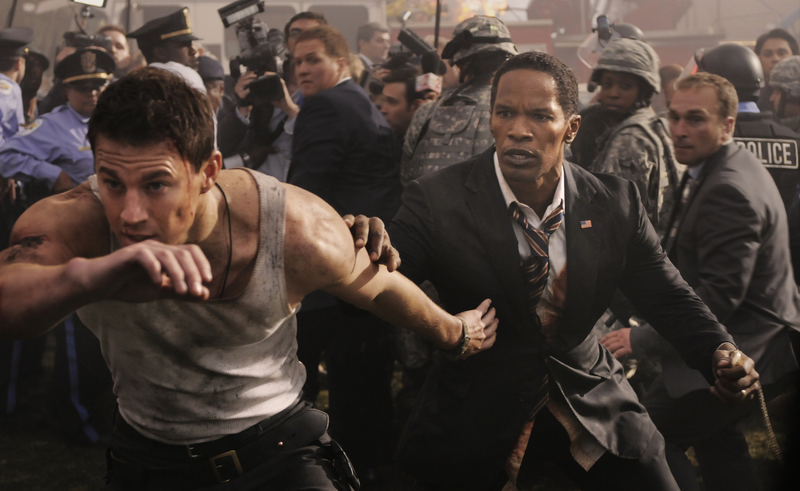 I thought Jamie Foxx might overly-Obamatize his character, but he did not. And, as promised, the White House does indeed go down. The rule of thumb in Hollywood seems to be: release the same concept in the same month and see which film tanks. This is all about Antz (1998) vs. A Bug’s Life (1998). Or Mirror Mirror (2012) and Snow White and the Huntsman (2012), although those two are are a toss-up. 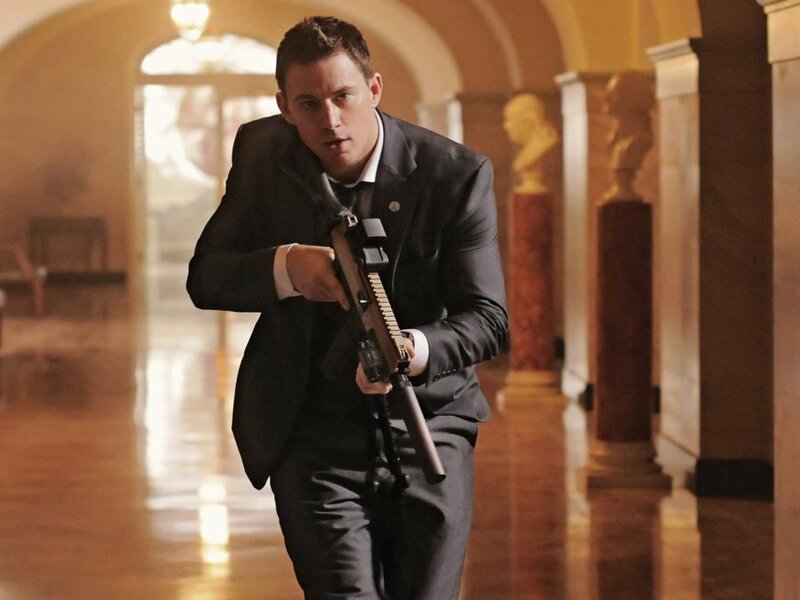 They pushed a quick release this year for Olympus has Fallen with Gerard Butler. Somehow I knew to wait, and I was glad I did. 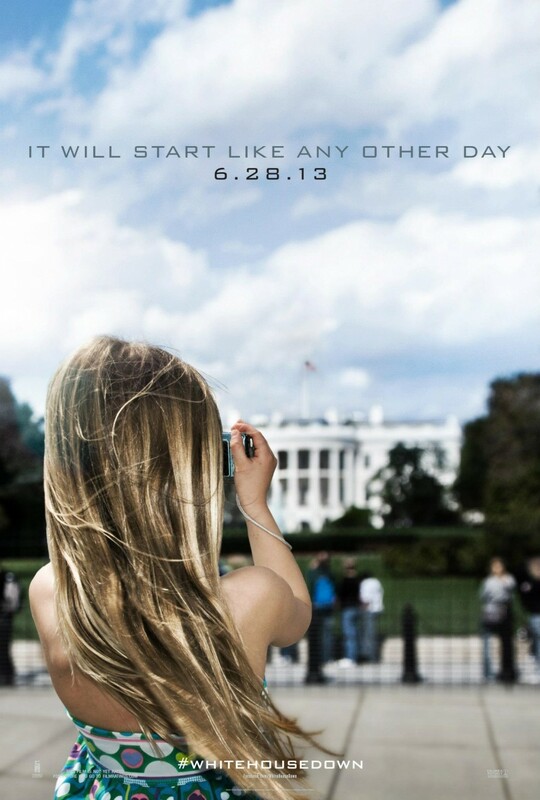 White House Down is the same in name only. 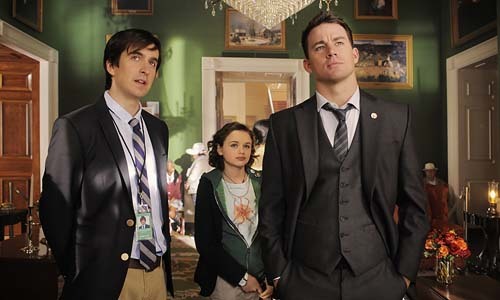 The story works, it’s fun, and it stars some trusted names like Maggie Gyllenhaal and Richard Jenkins. Though director Roland Emmerich unforgivably released the torturous film 2012 (2009), he also made the film Independence Day (1996). So, it seems appropriate to write this review today, July 4th. Independence Day. Now there’s an American classic. 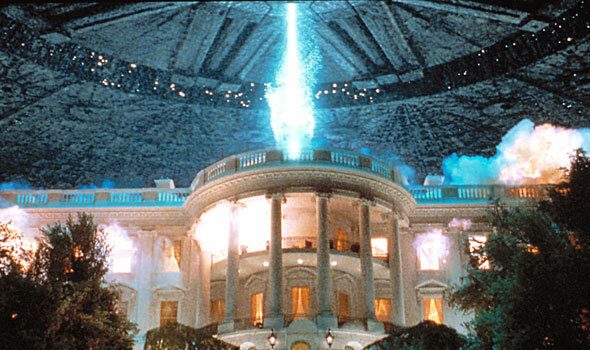 Nothing screams freedom better than Will Smith punching Aliens in the face, than Jeff Goldblum solving the alien math-speak while wooing women, than Randy Quaid yelling “Up yours” while flying kamikaze into an alien ship, or than Bill Pullman giving his presidential speech. Now that’s a national treasure. Great review! Now I want to see it. Not sure what you’re talking about here, because I thought she was incredibly flat in this, just like she is in everything else. Aside from that, good review. I also wrote a review on this if you want to check it out. I never did see this movie. I’m kinda sad I missed now. All of Roland Emmerich movies are World Heritage. I just clicked the follow button. Funny.